You’ve been on your feet all day and have just rolled into camp. The tent’s pitched, the boots are off and there’s a rumbling in your stomach. It’s time to bust out your stove and channel your inner Jamie Oliver. But which stove should you be using? 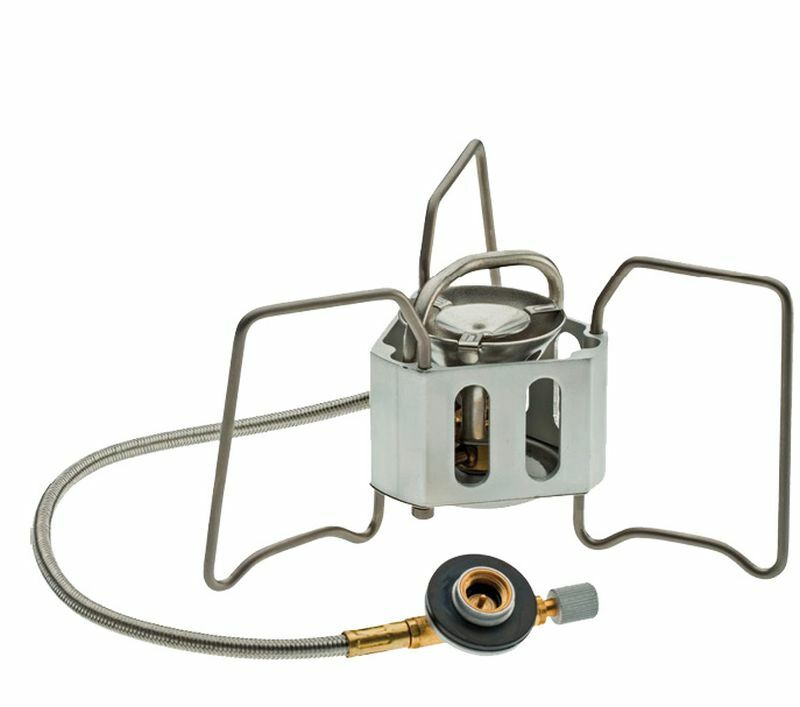 Gas camping stoves are the most common type of stove you’ll see in outdoor shops and in use in campsites throughout the UK, and generally consist of a gas canister which screws on to the stove. 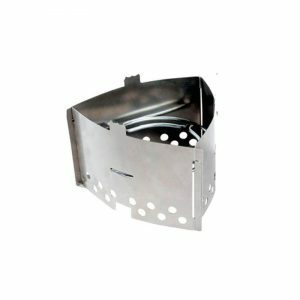 Gas camping stoves burn clean and are easily adjustable, meaning you can go from full whack to gentle simmer in no time at all. It’s important to note that gas stoves produce carbon monoxide so they should never be used in an enclosed space. If you are forced to cook in the porch of your tent, make sure it’s fully unzipped and all vents are open. To help you find the right stove for you, we’ve tested 12 of the best gas camping stoves on the market to see how they fare when it comes to boiling time, stability, simmer control, weight, usability and value. It’s worth noting that some of these gas camping stoves are heavier, but they come with a pot, whereas some of the more lightweight versions don’t. 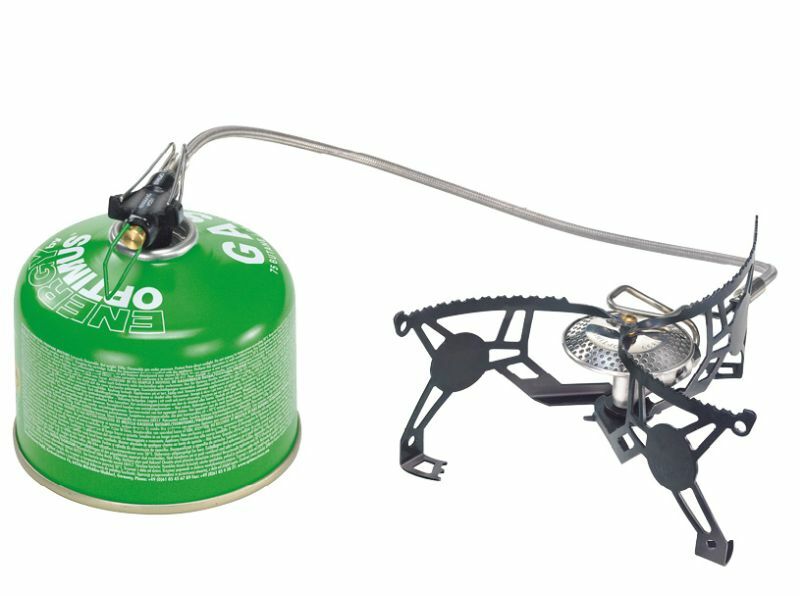 The Ultralight Gas Stove from Vango is, as you might have guessed, incredibly lightweight, at just 67g. In fact, it’s the lightest of all the gas camping stoves in this list, and it packs down incredibly small too, so you would hardly notice it in your pack. The question is, how does it perform? Well, a boiling time of two minutes and 15 seconds (500ml of water) isn’t the worst, and it’s only a minute behind the best performing stove. No dramas there, then. Where the Ultralight Gas Stove does fall down a little is with its simmer control. Some of the others do a much better job of this, while Vango’s offering struggled a little with a lower output, particularly in wind, when it would stutter somewhat. Another area where it falls down, as with most of the stoves that rely on the gas canister as its stand, is stability. On uneven ground it’s not the greatest, and the arms of the stove don’t offer much reassurance when using larger pots, as they are quite short. For a small, solo pot, however, it will fare better. 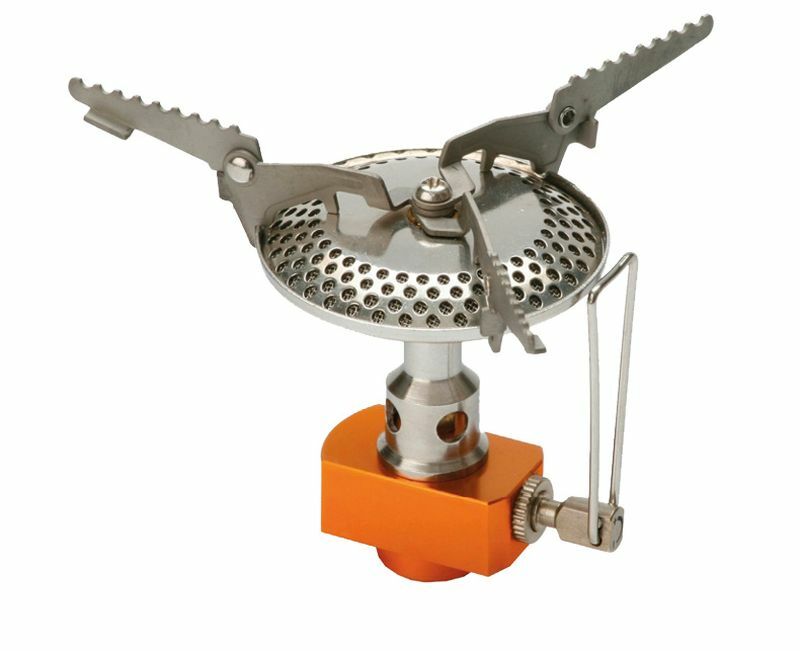 Of course, at £25, the Ultralight Gas Stove is the cheapest in test, and for those setting out on their first multi-day hiking forays, it’s not a bad option. In a line: Cheap and super lightweight; a great option for those new to multi-day trekking. 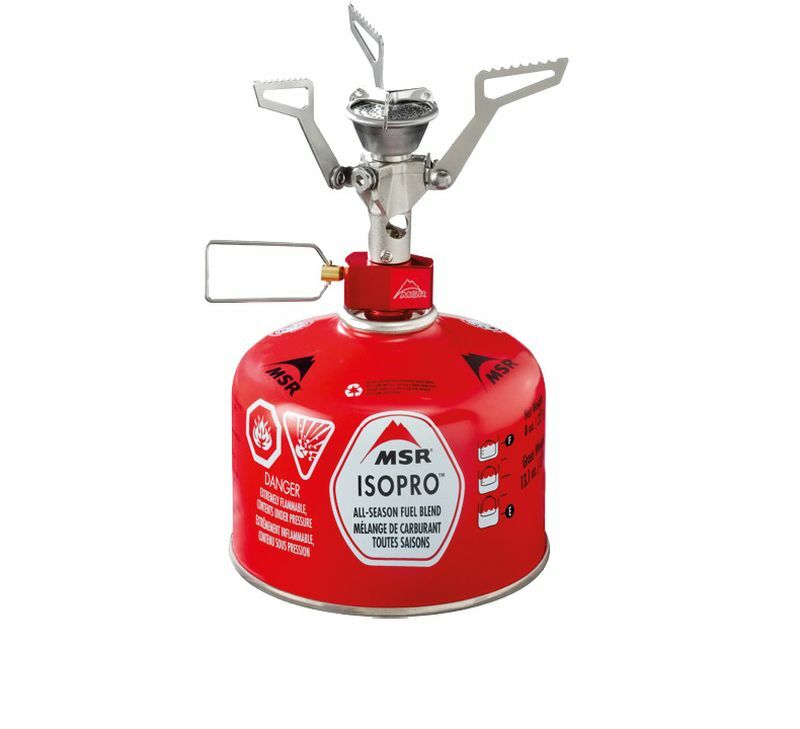 MSR is highly respected for its manufacturing of gas camping stoves, and the PocketRocket in particular is one that has been popular over the years. The stove’s latest iteration maintains its reputation by delivering a boiling time of one minute 39 seconds (500ml of water), which is the third best in test. For such a small piece of kit, the PocketRocket 2 certainly packs a punch. Simmer control was also impressive, and we managed to maintain a low heat without any trouble. One area that it didn’t perform quite so well, however, was stability. With a mini-stove like this, the gas canister is the only part of the setup that will be on the ground. With that, it can be slightly precarious to use on uneven ground, with a risk of tipping over. Of course, the pot supports can help offer some stability, which happens fairly well here. As a side note, if you use a small pot (we used a 2.7-litre pot), the stove’s stability will be much better. The PocketRocket 2’s weight and pack size also need to be spoken about. Put simply, it’s tiny, and you’ll hardly notice it in your pack, especially as it weighs just 72g. At £33, it’s a great piece of kit for not much outlay. In a line: The ultimate super-lightweight trekking stove. Unlike the previous two gas camping stoves in this test, the Alpkit Koro is freestanding, with an armoured gas hose connecting to a gas canister. 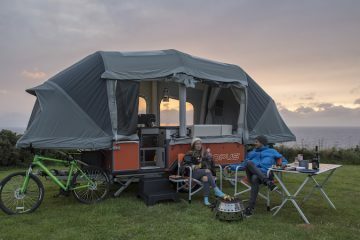 In all the years I’ve been using Alpkit gear, I’ve come to associate the brand with affordable kit that delivers great performance and this seems to be no different with the Koro. It’s lightweight, at 124g, packs down small and boiled 500ml of water in a very respectable two minutes and eight seconds, which was in the top half of results in this test. The Koro is definitely a powerful stove, and it’s efficient too. It features a brass pre-heat tube that ensures gas vaporises before reaching the burner, thus making sure there is a constant flow, with limited spluttering. The wide burner head spreads heat evenly across the base of the pan, and simmering at a low heat wasn’t an issue. The Koro isn’t the most stable on test when used on uneven ground, but it is a step up on the mini-stoves and all-in-one stoves that are mounted onto gas canisters. Truth be told, as long as you’re not trying to cook on really lumpy ground you’ll be fine, and it takes larger pots with relative ease. At £45, it’s available for a very respectable price. In a line: A lightweight and reliable performer. On a visit to Robens HQ last year, I witnessed just how much thought, consideration and testing goes into the kit that the brand produces, and this was clear to see with the Fire Mosquito Stove. The interesting thing about this freestanding stove is that it has been designed to generate a spiral flame in an effort to improve performance, specifically when facing wind. In testing, it seemed to work, too, as we had no instances where the wind caused an issue. A boiling time of one minute and 48 seconds (500ml of water) was very good, and the fourth best in test, while its ability to simmer gently was very welcome when wanting to cook something gently. 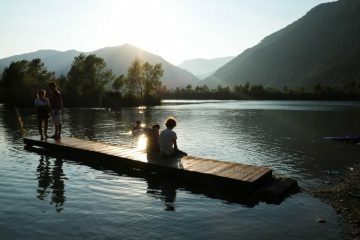 The foldaway legs cover a large surface area and are very stable, handling a 2.7-litre pot on uneven ground with ease. Despite it’s wide supports, it still packs down nicely into a mesh stuff sack and it weighs 236g, which places it in the middle of the pack when compared to the rest of the gas camping stoves. 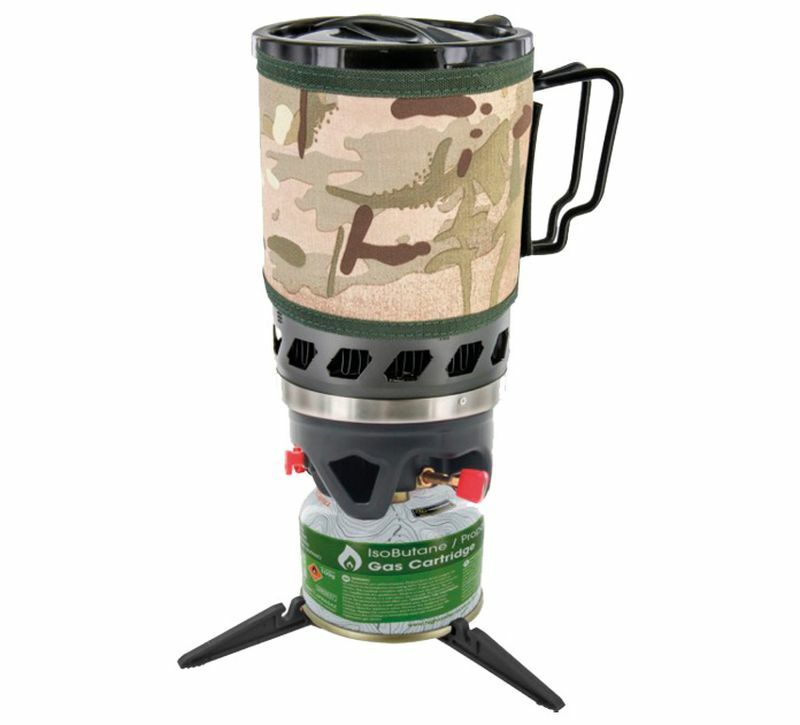 I certainly wouldn’t have any issues taking it on a long-distance hike, as it is a very versatile and reliable stove. At £49.99 it won’t break the bank either. In a line: A fantastic all-rounder that offers stability and performance in equal measure. 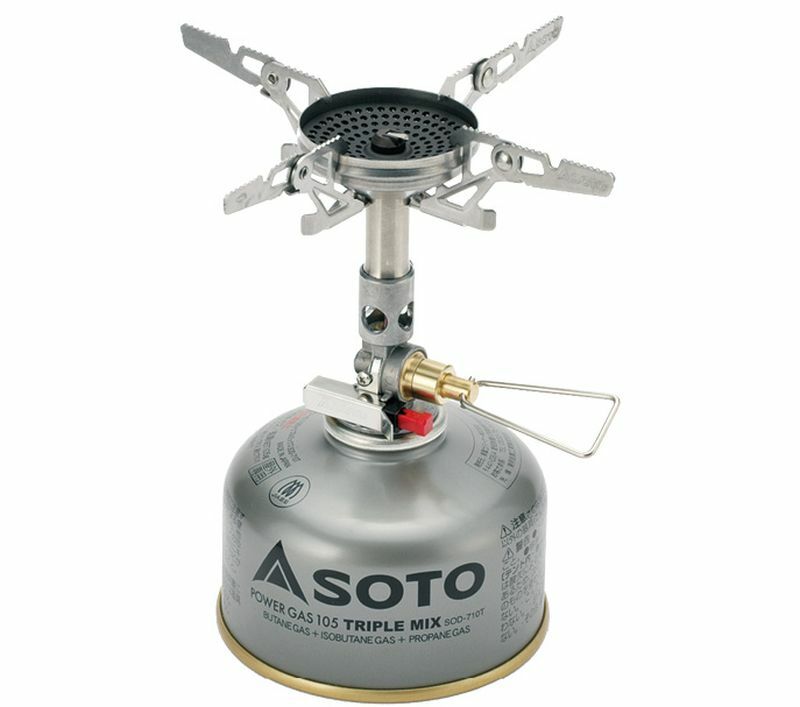 I was immediately intrigued by the Soto WindMaster, as it came packaged with something called the 4Flex, which is a four-pronged support that can be clipped onto the stove. While the stove already comes packaged with a smaller, three-pronged support, we found the 4Flex improved stability significantly, especially when using larger pots. One thing worth noting, however, is that as this stove simply screws onto a gas canister, stability isn’t as strong as some of the standalone gas camping stoves in test. Boiling time came in at a very respectable one minute and 58 seconds, and we were impressed by the simmer control and wind resistance of the stove. We had no issues with the wind interfering with the burner, and it was simple enough to find a heat suitable for a gentle simmer. It’s incredibly lightweight at 87g, and easily packs into a bag. 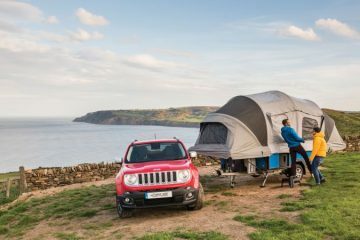 We also loved the fact that the WindMaster is fitted with a Piezo ignition, as it means you don’t have to worry about carrying matches or a lighter. At £60, it’s almost double the cost of the other mini-stoves, but it is definitely worth considering for the extra stability and wind resistance. In a line: An strong contender if you are looking for a premium, lightweight stove. 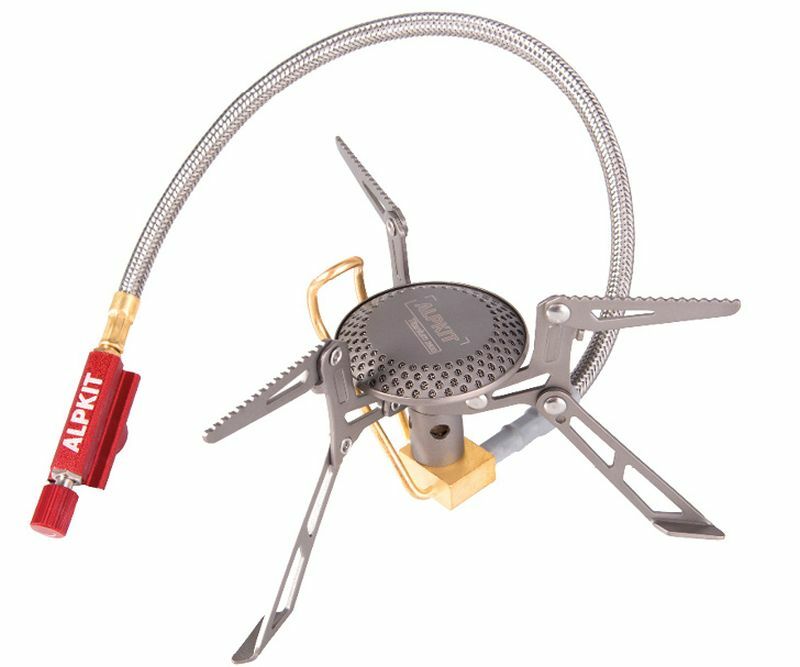 Similar to the Jetboil Flash, the Highlander Blade Fastboil2 is an all-in-one stove system that screws onto a gas canister. 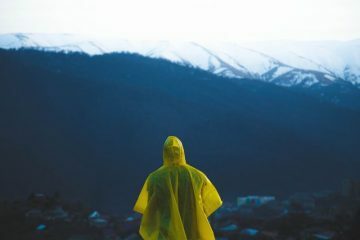 It comes with two neoprene insulating sleeves to aid thermal efficiency, a ventilated plastic lid (which can be awkward to remove once the water is boiling) and butterfly-folding, silicone-coated handles. Boiling time wasn’t bad, at two minutes and 15 seconds (for 500ml), but there are other gas camping stoves in this test that perform better. Stability is on par with the Jetboil Flash, in that its tall nature means it needs careful positioning to reduce the risk of it toppling over, but the stabilising supports help with this by being placed under the gas canister. Simmer control isn’t bad, but due to the nature of this type of stove, it’s best suited to being used for hot drinks and boil in the bag or dehydrated meals, as boiling water is its main focus. At 433g, it’s not lightweight, but you wouldn’t need to take an extra pot. If you have the space, it’s worth considering, especially if you only plan to use it to boil water. At £69.99, it’s incredibly good value, and you’ll probably be hard pushed to find a cheaper all-in-one system. In a line: A decent all-in-one system that is a good option for the budget-conscious. 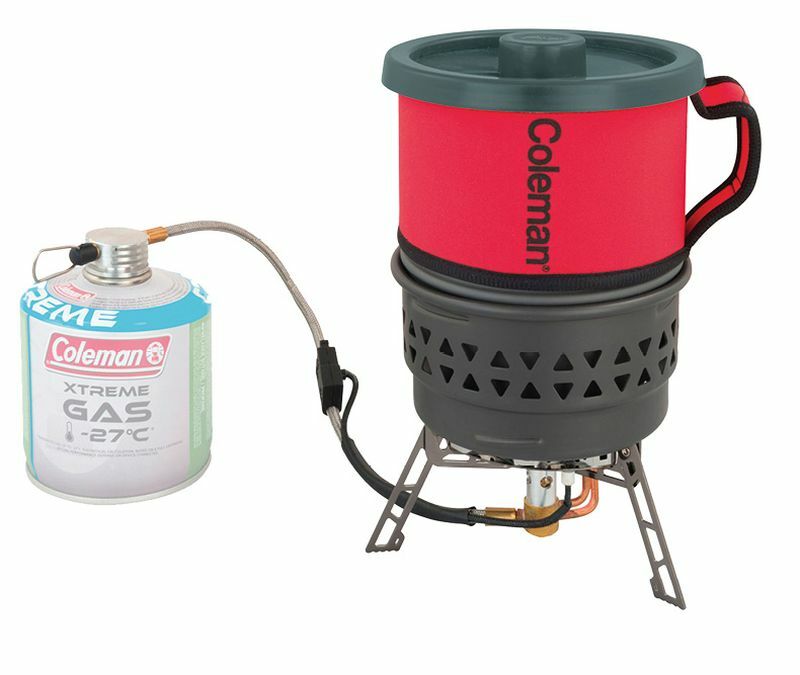 The Coleman FyreStorm PCS looks like an all-in-one cooking system, but in actual fact, the burner is separate from the pot. 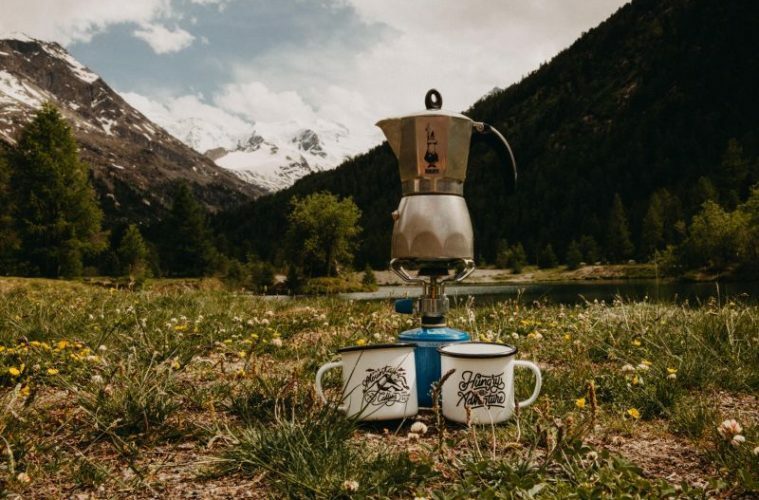 One of the main benefits of this is that the stove feels more stable thanks to the three-pronged legs, however, it’s not quite as stable as some of the other freestanding gas camping stoves. A boiling time of two minutes and 48 seconds (500ml) leaves a bit to be desired, making the FyreStorm PCS the second slowest on test, but the simmer control is pretty good, and the regulator allows you to be precise with the strength of heat you desire. We particularly liked how the Wind Block system kept out breezes, and we had no trouble with the elements affecting the output of the burner. The included pot is wider than the likes of Jetboil’s offering, so it’s more versatile in terms of how you can use it and what you can cook with it. Of course, with this there is a bit of a weight penalty, and at 578g, the FyreStorm PCS isn’t exactly lightweight, but you won’t be needing an extra pot, like you would with the freestanding and mini-stoves. 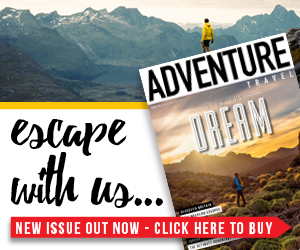 If you’re after a versatile, all-in-one style camping stove, you don’t want to break the bank and you’re not an ultra-light hiker, the FyreStorm PCS is a good-value option. In a line: A good all-rounder that does everything well, without making headlines. 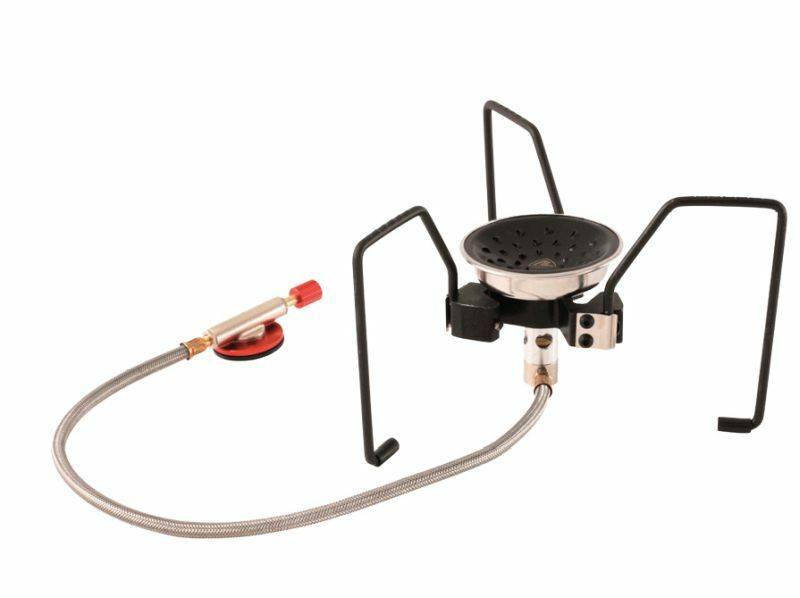 To use the Trangia Gas Burner you’ll also need to invest in another piece of Trangia kit for it to rest upon. In our case, we’ve been using the Trangia Triangle, which costs £25 on top of the £60 for the gas burner. The Triangle comes flat packed, which is good for transporting, so you need to assemble it before being able to use it. This was quite a fiddly and frustrating process, but once you have mastered it a few times it does get easier. We found the Triangle provided good stability on varied terrain, and it handled a 2.7-litre pot with ease. The other benefit of the Triangle is that it blocks out the wind quite substantially, allowing for uninterrupted burner performance. Having said that, the boiling time for the Trangia Gas Burner was the slowest out of all the gas camping stoves at two minutes and 56 seconds. Simmer control was good, and with the wind blocked out by the Triangle, we were able to use the burner at lower heats without it stuttering away. Pack size is on par with many of the other standalone stoves, though it doesn’t come with a bag. It was also one of the heavier standalone stoves at 276g, though in the grand scheme of things, it’s not that heavy. At £85 for the entire package, it’s at the more expensive end of the scale, but it is a solid option that shouldn’t be discounted. In a line: A classic piece of kit that suits those travelling in windier conditions. With its curved pot supports, the Optimus Vega is certainly an intriguing stove to look at. The result of these supports is that stability was great, and the Vega seemed to provide a great platform for any size of pot on a variety of terrain. At two minutes 20 seconds, boiling time was respectable, though it was beaten by most of the other freestanding stoves on test. One thing that the Vega does have going for it is a unique feature that none of the other gas camping stoves on test have, and that’s the ability to be used in two different modes. With the gas canister sat the normal way up, the stove works in efficiency mode, which is designed to provide precision as well as excellent efficiency. In this mode, we found simmer control to be exceptional. You can also use the Vega in the integrated four-season mode by turning the gas canister upside down and opening the support legs. This helps provide constant fuel pressure in cold conditions (it keeps going in temperatures even as cold as -20C) and improves the boil time. It’s lightweight (175g) and packs down small. At £100, it costs more than most of its competitors, but for that extra dosh you get a stove that is made for extreme conditions. In a line: A reliable piece of kit for expeditions and challenging conditions. Jetboil has a fierce reputation in the outdoor scene, and after seeing the Flash 2’s ability to boil water rapidly, I can certainly see why. In fact, it registered the quickest boil time of the test with one minute 22 on the scoreboard (for 500ml). It’s impressive, and if you’re making a cuppa or rehydrating meals for your evening meal, it’s a great piece of kit. Where it doesn’t perform quite as well is with its simmer control, but to be honest, it’s probably not designed to cook up a whole meal. Boiling water is it’s main mission, and it does it brilliantly. One feature we particularly liked was a colour-changing heat indicator, which is integrated in the insulating cover. It changes colour when the contents heats up, so it’s easy to see when your water is boiling. 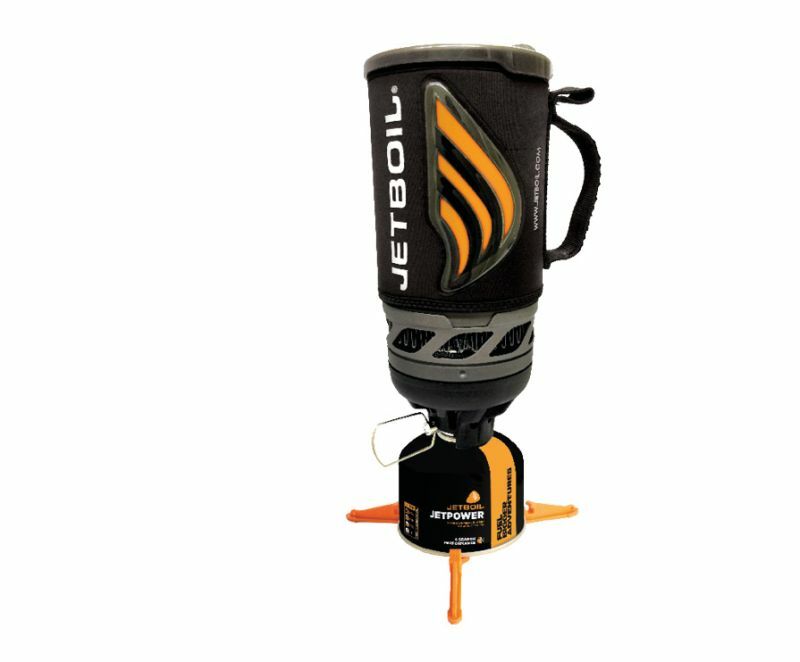 As with most gas camping stoves that stand on the canister, the Jetboil Flash 2 isn’t the most stable, but the brand has tried to counter this issue by including a fuel canister tripod. Another thing worth noting is that it can be quite challenging to pull off the lid without burning your fingers, so beware of this! At 395g, the Flash Cooking System is the lightest of the all-in-one style cooking systems. 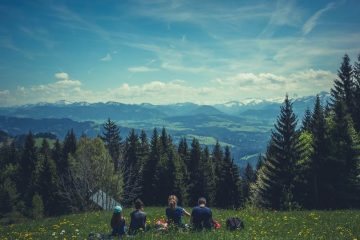 Shell out the £110 and you’ll be purchasing a quick-boil stove that won’t let you down in this regard. In a line: An all-in-one system that is hard to beat when looking for that style of stove. 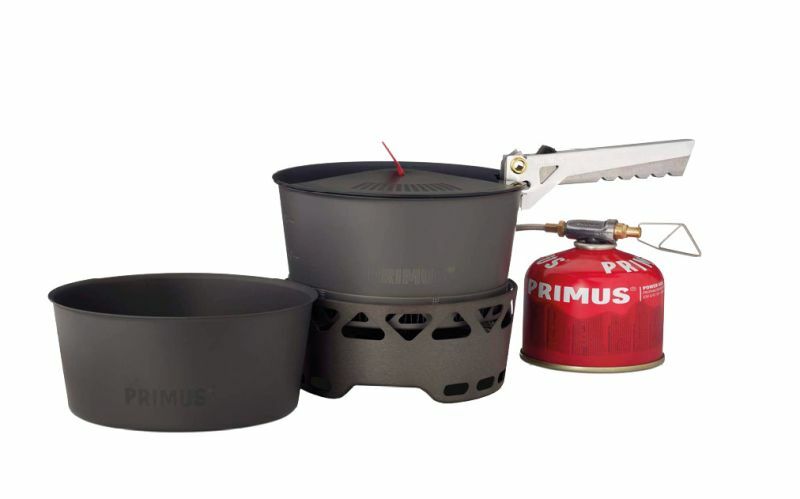 The Primus PrimeTech Stove Set is the heaviest on test, weighing 791g all in, but the key thing to remember is that it comes with pots and accessories that will serve up to three people. Taken on its own, the weight of the burner is just 294g, so this is certainly worth thinking about. A boil time of one minute and 32 seconds (500ml) was very good and was only beaten by the Jetboil Flash. Simmer control was impressive too, and if you were doing some proper camp cooking, as opposed to using packaged food, it would certainly be up to the task. Impressively, the PrimeTech is said to have a fuel consumption of roughly half that of traditional stoves thanks to the integrated heat exchanger, effective wind guard and optimised burner. Stability was good, with the wide base of the stove and rubber feet keeping it secure. Plus, as the included pot sits just below the lip of the stove, there’s less of a worry that it’s going to fall or slide off. It comes with two 1.3-litre pans, a transparent lid (with integrated strainer and silicone handle), tongs to use as a handle and a Piezo lighter. It doesn’t pack down as small as some other gas camping stoves, but it performs brilliantly and would be a great option if you’re not short on space or are cooking for more than one. In a line: A fantastic set that is perfect when you’re travelling with a friend or two. The Hexon Multifuel is a little different to some of the other gas camping stoves that are in this test. As the name suggests, this is a multifuel stove. 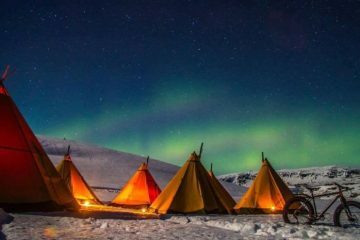 This means that, as well as gas, it can also be fuelled by kerosene and petroleum, which is a great option to have if you are travelling through more remote places where gas might not be readily available. Tested using a gas canister, it recorded a boil time of two minutes and 38 seconds (500ml), which is in the lower end of the spectrum among the gas camping stoves tested here. 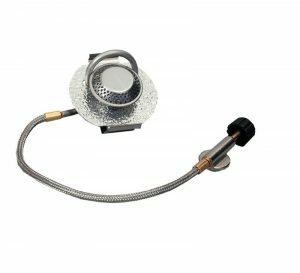 It offers decent simmer control, allowing you to cook food without cremating it, and Edelrid says it can be operated in temperatures as low as -20C thanks to its high-quality aluminium fuel pump. It’s really stable too, with the wide arms folding out to give you a considerable surface to place your pot, while it handled uneven ground with aplomb. In terms of weight, at 225g, the Hexon Multifuel is very respectable, and it packs down tightly too. For added wind protection, it comes with an additional windshield, which you can choose to use or leave behind. At £140, this is the most expensive stove on test, but for that money you get premium quality and versatility thanks to the multifuel aspect. In a line: A solid performer that offers great stability and is a great option for expeditions.